DENNIS E. SEIBERT, is a 1956 graduate of Brandywine Heights High School, Topton. He, along with his wife, owned and operated the former Schappell’s Hardware Store, Topton for 32 years, retiring in 1999. Dennis, an active member of the Topton community, serves on Topton Centennial and Street Fair Committee, where he coordinates the annual classic car show and cruise. 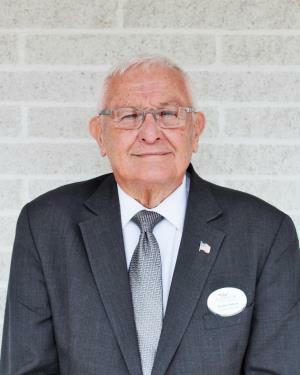 He also is a member of Saint Paul’s Lutheran Church, Mertztown, where he was a former church council member, and a member of Topton Lions Club. Dennis and his wife, Sandra J. (Ziegler) Seibert, reside in Topton and have a daughter, Dawn, granddaughter, Alison and grandson, Andrew; and a great- grandson, Miles. Dennis is an avid Ford Mustang enthusiast. He has been a member of our funeral home staff since 2000.